(SPOT.ph) Milk tea-lovers know there's one other holiday to look forward to aside from Christmas: Serenitea's birthday! 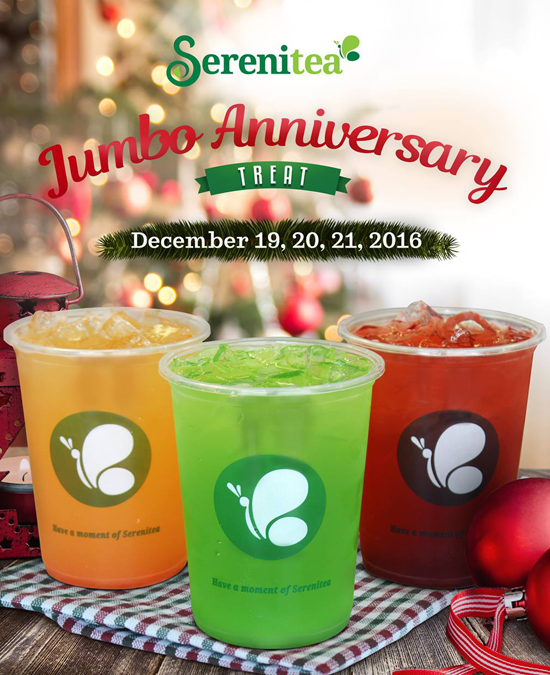 Every year, Serenitea celebrates by giving away a liter of tea, and they're continuing the tradition on their eighth year. Starting today, December 19, you can upgrade your large drink to a Jumbo Cup, for free! Serenitea's promo is only available for the following flavors: Yakult Drinks (except Calamansi), Fruiteas, Okinawa Milk Tea, Hokkaido Milk Tea, Nagasaki Milk Tea, Chaffe Milk Tea, Emperor Milk Tea, Winter Frost, Wintermelon Milk Tea, and Taro Lover. 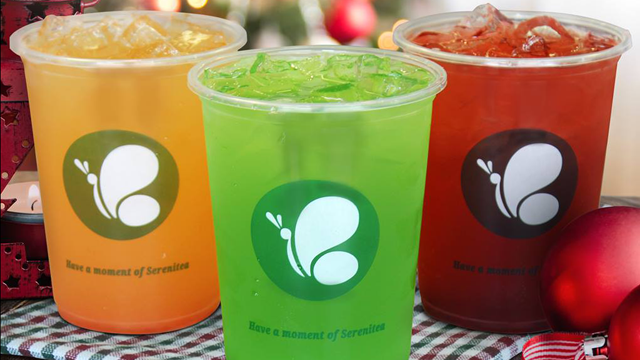 The free upgrade is available for three days only: December 19, 20, and 21 so better get to a Serenitea branch nearest you!